Welcome to Alan Blaustein Photography. Please find the new 2011 publication releases and other new exciting projects for 2011. Please visit the website www.alanblaustein.com for more information about image licensing, stock photography, prints, new releases, exhibitions and upcoming events. 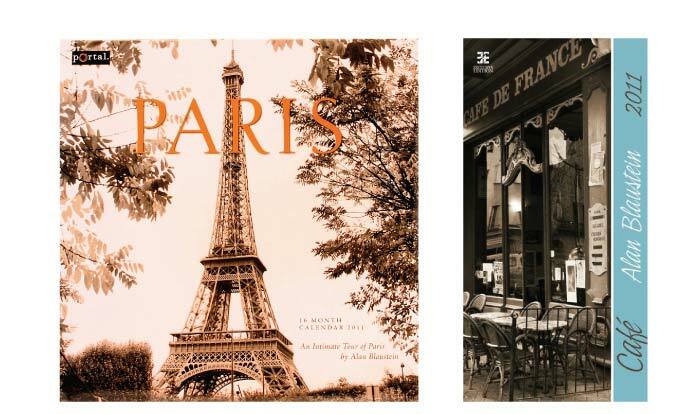 Projects: 2011 calendar releases; “Paris” a follow up USA publication from Portal Publications and “Cafe” a debut Czech Republic release featuring European Cafes photographed in the unique vertical panoramic format. 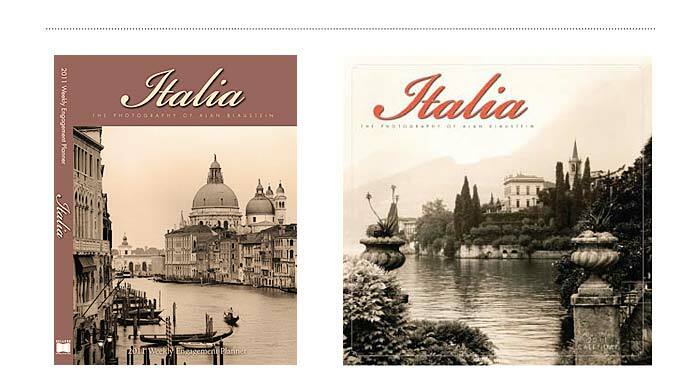 Featured for 2011 is the new Sellers publications release of Italia, a 54 full page weekly agenda book. This new book features many typical Italian “slices of life” from many of Alan’s recent excursions from southern to northern Italia from the past four to five years. Projects: “Italia” 2011 calendar releases from Sellers publications. Agenda book and companion Wall calendar. Released in the European market for the third consecutive year we have the popular “Cafe and Bars”. 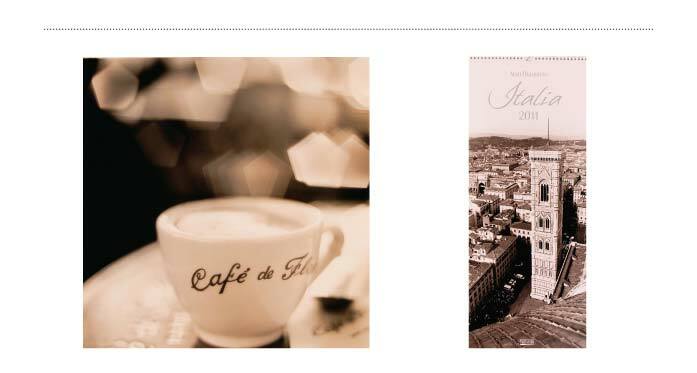 Project: “Cafe and Bars” 2011 Korsch German publication calendar release and Portal publications 2011 wall calendar titled “Caffe italiano” which focuses on the Italian cafe culture. Featuring Italian espresso cups from Firenze and Lucca, as well as French cafe cups from Paris. In addition to a large print version of Parisian “Cafe,Montmartre”. Project: “Cafe Flore”, Paris from the 2010 Image Conscious cafe series lithograph release. “Italia”	for the fifth consecutive year a Korsch German publication gallery style calendar release featuring Alan’s signature style vertical panoramic photographs. To see more project work — visit www.alanblaustein.com.